Home Unlabelled Facebook Wants To Build a Live Video Group Chat. Facebook Wants To Build a Live Video Group Chat. 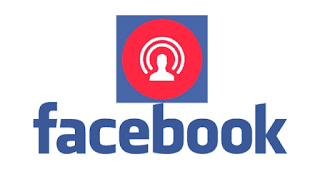 Facebook introduced live Video way back in 2015 because it turned into the only major participant at the time that didn’t have its very own live video framework. they've made tremendous changes to it over time and now they are being said to be running on some other task. in keeping with the Verge, Facebook is building a standalone app that looks like Houseparty. If you don’t know about Houseparty, it is an app that was introduced last year that arose from the ashes from Meerkat, a live video chatting app that came before Periscope. Houseparty allows you to have group video chats with your pals and that is what Facebook is aiming to do with this app. Seemingly the app is known as Bonfire and it has ideas that are from the Houseparty app. The Bonfire name makes sense for the reason that people usually gather around a bonfire to talk and it is the best name for a group video chatting app. The app is seemingly focused for a fall release, this means that we can possibly see it from September onward. The guide was additionally able to get a assertion from Facebook: “We don’t have anything to share presently,” a Facebook spokeswoman was quoted as saying. Facebook’s strategy has continually been trying to maintain up with anyone else and this move could bolster their live Video function. They offer both live Video on Facebook and video chatting in both Messenger and WhatsApp, so having a standalone app that does both would be a top notch add-on for their 2 billion plus users.